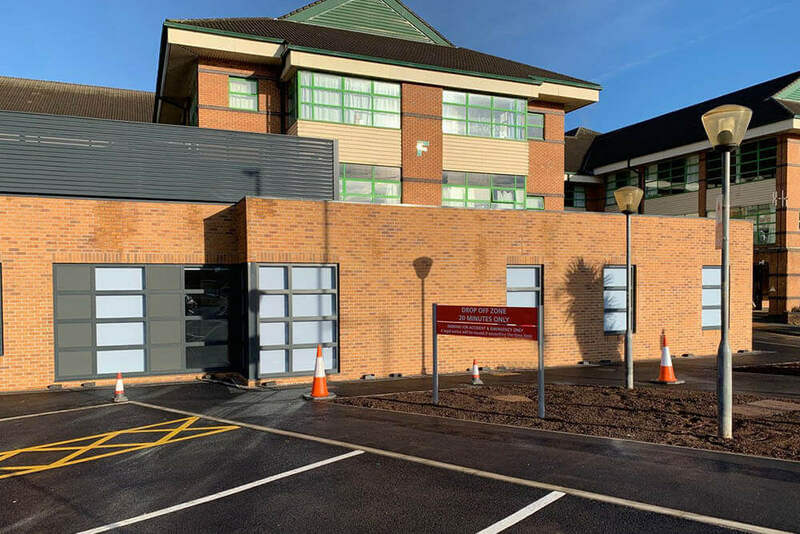 Due to the ever increasing demands on Hospital A&E departments, MTX continue to see a big interest in this type of facility and Royal Bolton Hospital has been no exception to this increasing trend. Works began in November 2018 with the production of 7No volumetric modules which were quickly progressed through one of our quality controlled factories. Once these were delivered to site they were installed in just 1 day, providing a single storey modular solution and sticking to the tight programme timescale. The 225m² accident and emergency extension incorporates 7minor treatment rooms, a waiting area, reception desk, staff offices and toilets. Internally it has been finished to a very high standard and utilises the latest in healthcare technology and equipment. To satisfy this demanding programme and to ensure the finishes were completed as quickly as possible,MTX installed brick slips for the external elevational treatment. The external rooftop, which is the location for the plant, is screened by a functional brie solei louvres which also enhance the architectural appearance of the building. The new building accepted its first patients late in February 2019.